Back in the days before every major city and regional corner of America hosted its own brand of Coachella, which has now given musical artists a seemingly endless touring circuit to carousel from one distracted and sunburnt audience to another, the concept of a single traveling music festival still had legs. The most famous mobile alt rock festival of all, Lollapalooza, was notorious for its rapid rise and fall in the 1990s, but in 2003 had pitched a successful enough comeback that another was planned for the next year. That follow-up didn’t materialize, of course, leading Lollapalooza to reboot yet again, this time ditching its gypsy roots for a stable Chicago residency. However, a different rock circus did make the rounds in the US in 2004. Curated by headliners the Cure, the Curiosa Festival brought together Mogwai, Muse, Interpol, the Rapture, Thursday, Cursive, Cooper Temple Clause and a few others. For fans of bands who wear black on the outside or at least feel that way on the inside, of moody and mysterious rock music as loud and angular as some of the haircuts that were scheduled to grace the stage, the Curiosa lineup was almost unbelievable. Given the amount of lead time one would expect for this kind of event nowadays, the festival, which ran from late July to the end of August, was announced on fairly short notice as the summer of 2004 approached. One of the stops on its schedule was at the Gorge Amphitheater, on the other side of the Cascades from my hometown, Seattle. 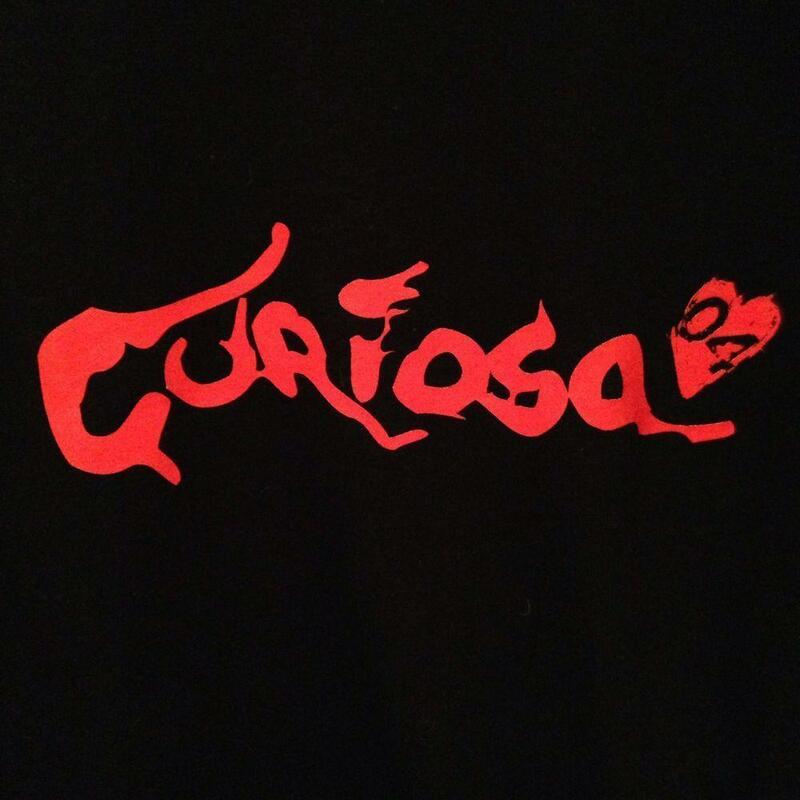 When word about Curiosa came out, though, I was a few months in to a post-college stay in London, living and working there under a BUNAC visa. For a longtime Anglophile the experience was something of a dream fulfilled, even in the daily mundanities of pub jobs and public transportation. BUNAC visas allowed participants to live in a given country for up to six months, and I had already set a return flight for September. In the middle of a June which seemed as mild and rainy as the April I had arrived in, I spent a few days thinking about what it would be like to sit on the warm grass hillside at the Gorge on a late August night soaking in that Curiosa line-up. In hindsight, being afforded the chance to scrape by in the UK for half a year was clearly a once-in-a-lifetime opportunity that shouldn’t have been cut short for anything. In your early twenties, however, the music you love and a mild case of homesickness can have a powerful influence over the direction of your life. I decided to cut short my time there by nearly a month, and even had to pay a couple hundred bucks (which felt like a small fortune at the time) to change my flight home. It was, I was convinced, ultimately going to be worth it. Heathrow to Sea-Tac is a long flight for someone with nothing to come home for. That’s how it felt sitting in the middle of coach on that 747, at least. As great as it was to see my parents in Arrivals at the airport, it was hard not to fixate on how I had traded the potential of one experience for another and lost on the gamble, to think about what else I might have been able to do with the coming month instead of just returning to normal life. In a couple of days I was supposed to be heading over to Eastern Washington for a post-punk fantasy league concert, and now I just had a long weekend of jet lag ahead. Not long after I was back home unpacking, however, the silver lining came through. Robert Smith had gone home, but other bands on the tour decided to set up their own shows in the sudden absence of a festival to play. On short notice, Mogwai -- my favorite band then and still probably now -- had booked that Saturday night at Neumos on Capitol Hill, the smallest Seattle venue they had played since they oversold the Breakroom back in the late 1990s. A friend had bought me a ticket as soon as the show was announced. The band rose to the occasion of an impromptu club gig with what still might be the most heavy, hungry set I’ve ever seen them play, ending with the crushing monolithic pair of “Like Herod” followed by “My Father, My King”. It was a draining, purging set. 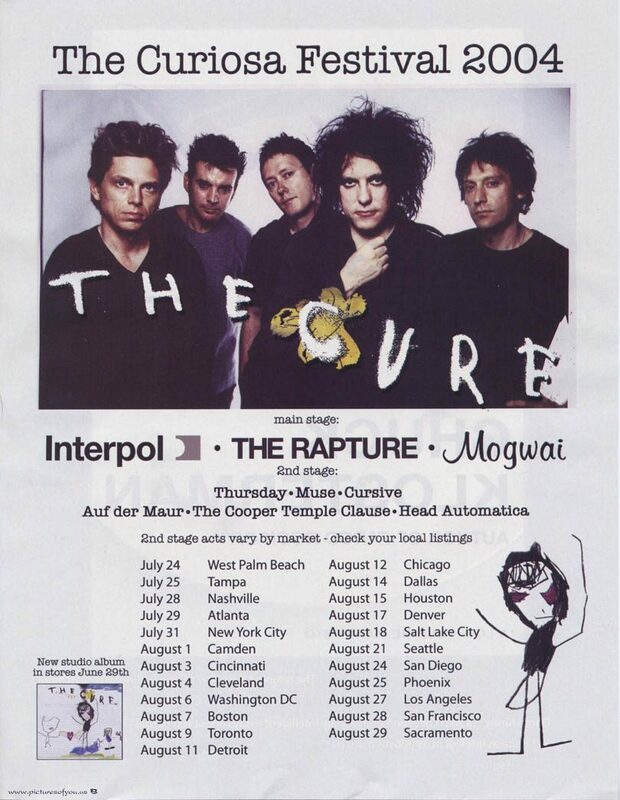 So much so, in fact, that when the Cure came back to Washington at the end of the month to make up for cancelling the Gorge date with “An Evening with the Cure”, I convinced myself I didn’t need to go. It felt practically personal; I was still mad at Smith after all I had done to rearrange my life in part to see him. I wasn’t about to make any more travel plans to see his band again, even if this time it would have been a not-unreasonable 40-minute drive up to the next city north, Everett. The day came and went, and I didn’t think much about it for a long time. Only recently, fourteen years later, did I even bother to look up the set list from that show. It looks like it would have been absolutely amazing to be there. Five encores. I have still never seen the Cure live.